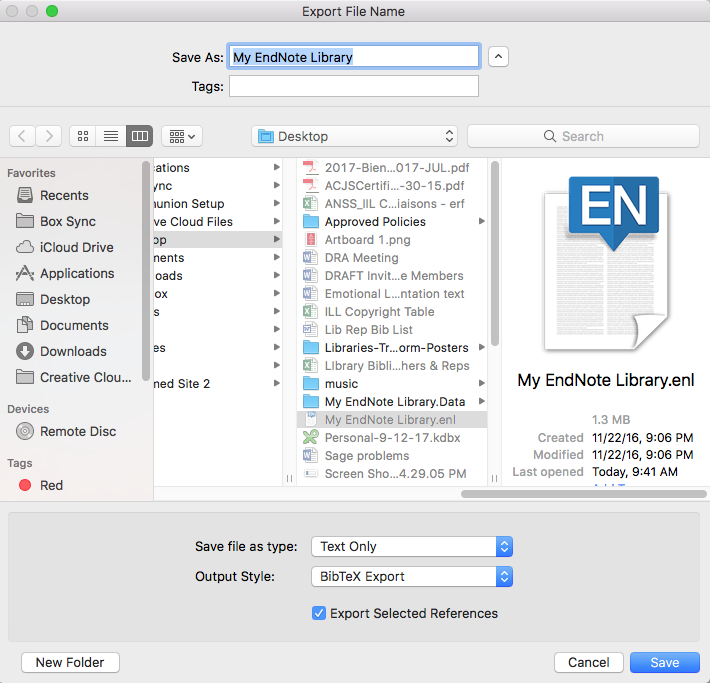 You must have the citation style called Bibtex Export in order to transfer citations from EndNote to Digital Measures. See the tab called Styles for information on how to get new citation styles. 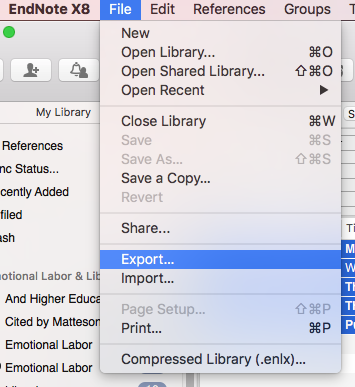 Once you have the style Bibtex Export, follow these steps to create the file to import into Digital Measures. In EndNote, select the citations you want to export. You can put them into a group to make it easy to select them. Click on the File Menu and then click on Export. Save teh file as type Text Only and the Output Styles should be BibTeX Export. Make sure the check box "Export Selected References" is checked. Determine what you want the file named and where it should be saved then click Save. In Digital Measures, go to the Manage Activities; Scholarship/Research; Publications section and click on Import. Choose the file you saved from EndNote and click Open. Digital Measures will then ask you to Match Collaborators for authors in your citations that it does not recognize as SDSU faculty. If your collaborators are not SDSU faculty, just click Continue. If you do have SDSU faculty collaborators, click "Match to a user account" next to the name. Note that only those who are required to use Digital Measures are in the system and can be matched. Digital Measures will then verify that it has the correct information on each of the publications. Check the information on each item. You can't edit the information here. If there are minor discrepencies, you can edit them in Digital Measures after the import. If there are more major problems, cancel the import and fix them in EndNote. Click Finish Import and verify that you are about to load the publications. Once the import is finished, you can edit an individual item by clicking on it.